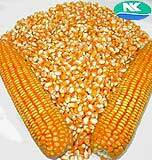 Maize is one of the most versatile emerging crops having wider adaptability under varied agro-climatic conditions. Globally, maize is known as queen of cereals because it has the highest genetic yield potential among the others. In India, maize is the third most important food crops after rice and wheat. According to 3rd advance estimate its production is likely to be 24.2 M Tonnes (2013-14) mainly during Kharif season which covers 80% area. Maize in India, contributes nearly 9 % in the national food basket, cultivated under 9.3 M Hectres gross area. 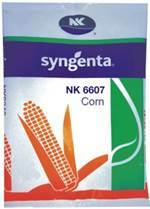 Syngenta hybrids have made us market leaders in Karnataka, Andhra, Maharashtra, MP, Rajasthan and Tamil Nadu. Our focus is mostly in central and south India. We have gained in the past few years due to our focused approach, ICS strategy and better portfolio. Corn Project with PAU: Syngenta conducted joint projects with PAU for corn to support crop diversification in Punjab and promote corn cultivation. The fruitful outcome of the project has proved that with the right intervention of productivity enhancement approach the corn yield can be increased by more than 33% and provide a possible choice to growers to diversify and optimize demand for irrigation and other inputs. We undertook a comprehensive economic benefit study to help guide growers to adopt corn as a superior alternative over rice as well as in Corn-Potato- Corn rotation. The project also included an evaluation of the economics of Kharif Corn through a Syngenta Crop program supported with suitable agronomy practices. A road map to introduce Kharif corn adoption program through incentives like subsidized inputs, Corn MSP, market linkages was also created. 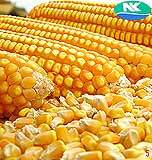 Features Wide adaptability, assured yield Yellow, semi-dent kernels with excellent tip filling, Stay green plants, well suited for fodder. Features Suited for tropical rainfed, high stress/drought prone conditions, Dark orange kernels with excellent tip filling, Consistent yield in high stress environments, Stay green plants, well suited for fodder. 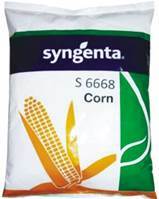 Features High yield potential, suited for irrigated conditions with high management, Large cobs with attractive orange kernels and excellent tip filling. Features Suited for tropical rain-fed, protective irrigation conditions, Deep orange kernels with excellent tip filling, Consistent yield in diverse conditions. Features Well suited product for high density planting environments in DS (up to 100000 plants per hectare). Very high yield potential, responds very well to high management conditions. 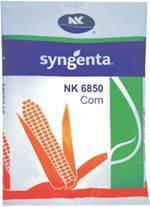 Features Plus technology combines the leading genetics of NK brand corn hybrid seeds with Syngenta’s proprietary seed treatment technology to deliver higher yields and ROI to growers. 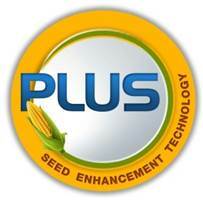 Plus technology enables the crop to overcome early stage growth challenges and helps in better crop establishment leading to higher yield potential realization for growers. 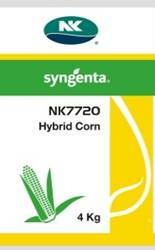 Features Hybrid suitable under high input and fertility soils. In general, bears single well-developed ear with tendency of double bearing under high input management. Seed setting at tip is very good. The plants have good stalk strength, thus ensuring optimum standability with stay green quality. 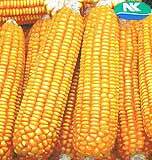 The kernels are medium sized, orange and flint type with very uniform and appealing plant type.Very uniform and appealing plant type.